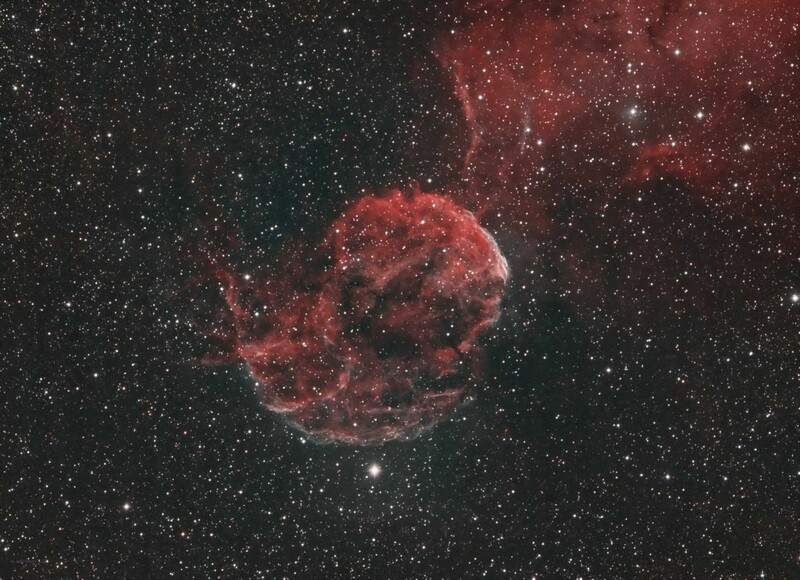 IC 443, also known as the Jellyfish nebula, is a supernova remnant located in the constellation Gemini. 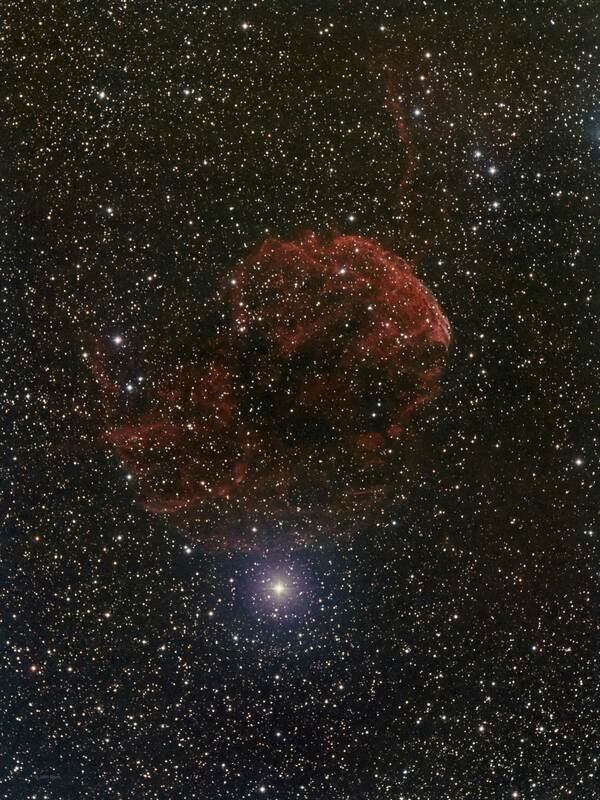 A supernova remnant is the remains of a very large star that exploded at the end of its life cycle. The explosion and resulting shock wave can energize surrounding gas and dust forming the many supernova shapes we see today. 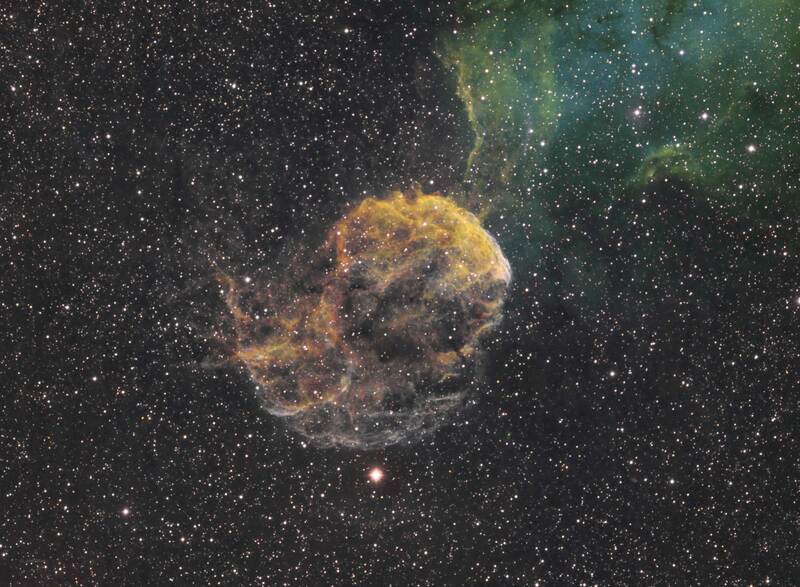 This supernova remnant contains a couple of different parts identified by their distinct shapes and chemical composition. The brighter part that shapes the right side of the head of the jellyfish contains iron, neon, silicon, and oxygen gasses and has the appearance of many filaments coming together. The left side of the head of the jellyfish consists mainly of hydrogen gas and heated dust with some filaments but has a more nebulous shape. Estimates of age vary from 3,000 to 30,000 years.